In many conversations with IT project managers and Application architects our team sees one recurring pattern, the need to work with a unified DevOps approach. The approach should be a simplified and seamless experience for all the involved teams at all stages of the development process. Think about it, this is a huge difference how DevOps should be doing and what is really happening in day-to-day operations. A lot of companies promote ALM solutions which are always shiny and look nice on paper. What appears quite often afterwards is that either the solutions get dysfunctional after going through many ALM processes or they become inadequate during the integration process with other tools essential for the process. It’s clear that one solution will not cover all the steps of the application life cycle process and at some point will impose limitations. Even two, three, or more independent solutions may not even offer effective control over all ALM activities. To get all the benefits from independent solutions, you have to integrate. There are many reasons why using independent solutions does not benefit the organization as expected. For example, information that is visible in one solution but not in other solutions or it is presented in a completely different and incompatible way. Switching from one solution to the other will cost time and is rarely efficient. Today’s challenge is to create a seamless integration that eliminates the bottlenecks of the independent smokestack technologies. Our team is introducing the ALM seamless Integrated Platform at Common Spring called “Wonderflow”. 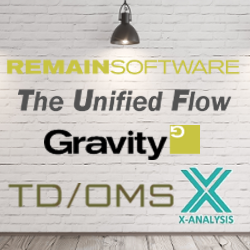 For now Wonderflow consists of three seamless integrated solutions Gravity, TD/OMS and X-Analysis. But we are open and will allow anybody to contribute to the development process, filling in gaps with a new interface. The ALM hybrid increases the consistency, predictability and measurability of the software development process in a simple and coordinated manner keeping all the company activities in sync.